I read this article and found it very interesting, thought it might be something for you. 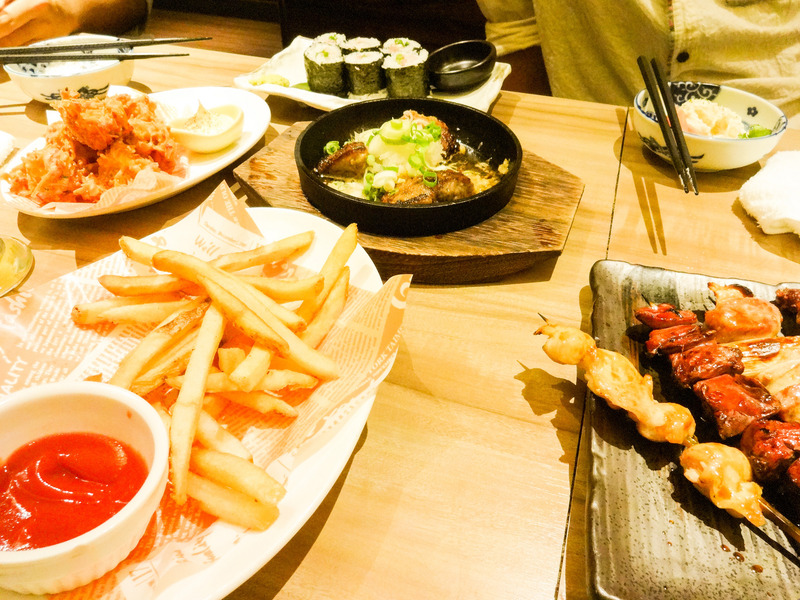 The article is called 10 Best Places to See Fire Flower:Hanabi in Tokyo and is located at http://trip-n-travel.com/listicle/3097/. If you plan to visit Japan in summertime, get ready to enjoy some of Japan’s most memorable events of the year, the Japanese Fire Flower festivals and Tokyo is one of the best places to enjoy some of the biggest shows of the summer! As the summer start heat up, the fireworks festivals around Japan start lighting up the skies with yearly traditional Fire Flower Festivals. Enjoying fireworks in summer festivals with local people wearing yukata (Japanese light summertime kimono) will surely become an unforgettable memory and will fill your photo albums with the most colorful images you can get! The tradition of the fireworks festivals is Japan can be traced back to the early Edo period, when fireworks were launched as part of festivals for the dead. 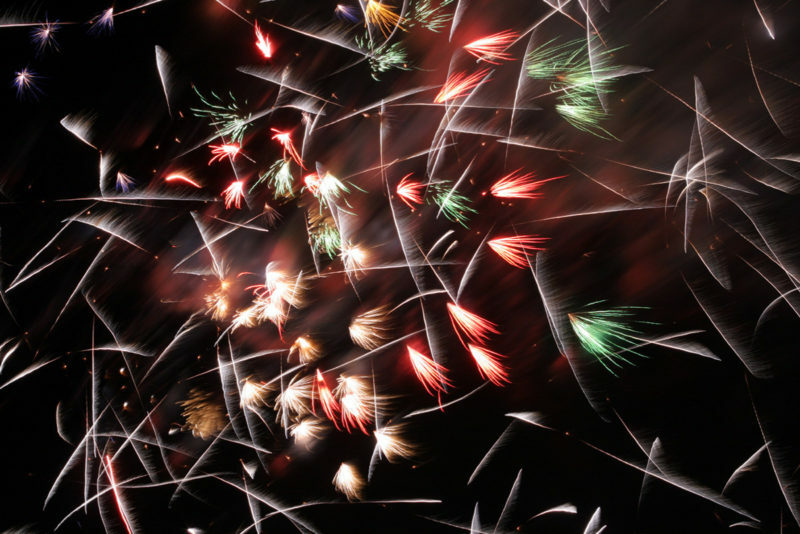 The fireworks festivals played two roles in the Japanese mind, they were a mourning observances for the dead and family ancestors, as well as celebrations of life, and entertainment for the masses. Just in any other festival in Japan, the main reason was to gather everyone in Town, get socialized, enjoy company of others, and get your mind off work and life hardships. 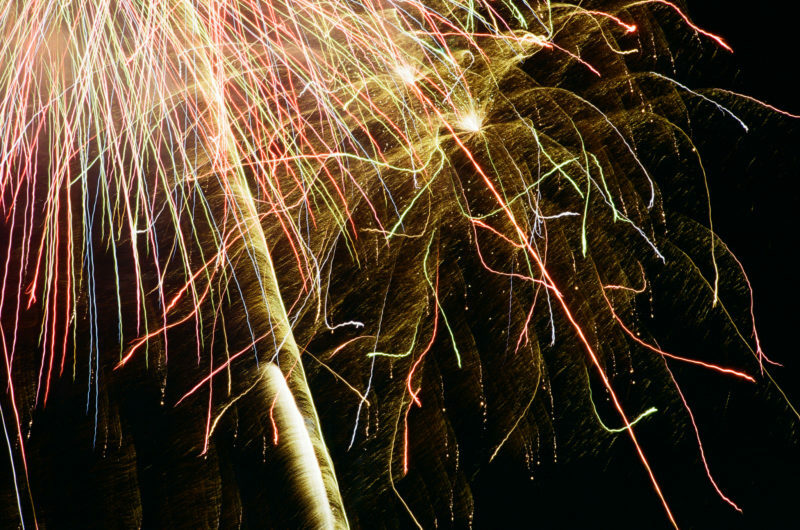 Today’s fireworks festivals are keeping the same concept of socializing, and enjoying the atmosphere of celebrations. 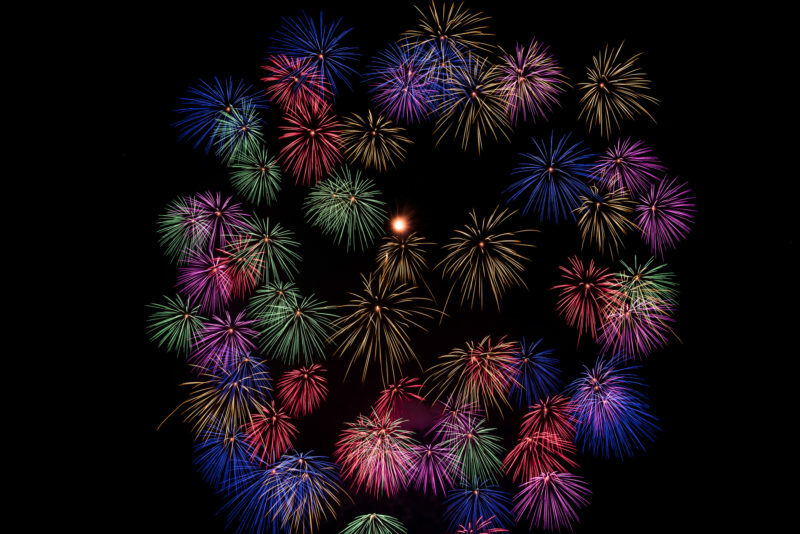 Usually, fireworks festivals will be happening on weekend, and in most cases they are planned for Saturday. 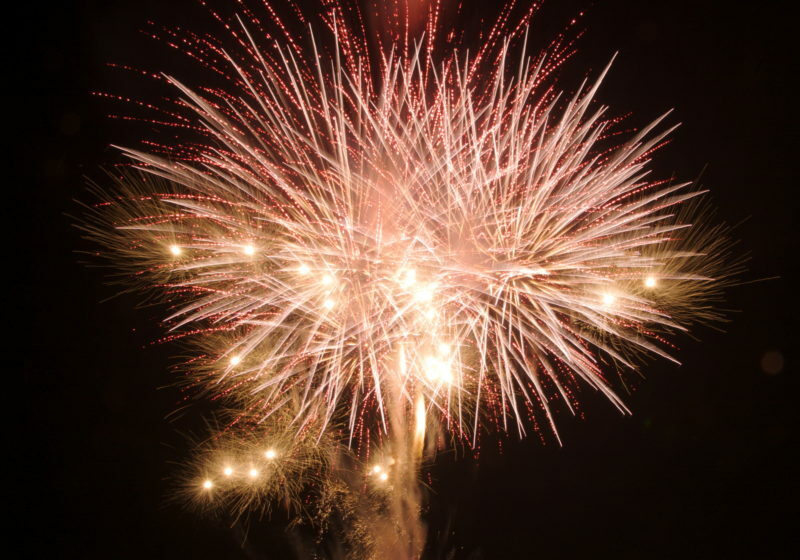 The main reason for that is that summertime in Japan is also the rainy season and the festival planners make sure that in case of a rainy day which will prevent the fireworks from happening, there is always another weekend day to delay the fireworks display to. If you are planning to go to any fireworks festival in Japan, get ready to see thousands of people dressing up in traditional Yukata for both men and women. You will mainly see young people wearing the Yukata, holding a paper fan and walking around in wooden sandals. Don’t be shy and join the festival atmosphere by wearing Yukata yourself! It is totally acceptable and quite common these days to see foreigners and tourists alike getting fully decked out in Japanese traditional summer wear to enjoy the festival to its fullest! Of all the big fireworks events of the year, this is my favorite one of all! Tokyo Bay Fireworks Festival is a very special fireworks display that last over 3 hours and is launched from the Tokyo Bay itself by a couple of massive barges which are located on both sides of the Tokyo Rainbow Bridge. If you plan to go there, make sure to go early as this event is so packed and if you want to get a good spot to watch it, you will need to get it among the thousands that flow toward Kachidoki area from early morning. The best and easiest way to reach Kachidoki area is by using the Oedo Subway Line which has a station in Kachidoki. The spectators are offered space in a massive parking area which is cleared especially for the event as well as on bridges, parks and all around Kachidoki and Harumi area. As the sun set, the barges from both side of the bridge start shooting the fireworks to the sky and the explosions are all mirrored on the bay water painting the whole area in colorful ambience. Add to that the beautiful view of the lit up Rainbow Bridge and the skyline of Shiodome skyscrapers and you get a picture perfect moment that last for hours! Tamagawa is one of Tokyo largest rivers flowing all through Tokyo as well as creating the dividing line between Tokyo and Kanagawa prefectures. In Tokyo, Tamagawa River banks are lined up with parks and sports fields, making the river a popular picnic spot, and yes, in the summer, one of the best place to sit and enjoy a fireworks festival! Since this festival is located right between Tokyo and Kawasaki, it can be viewed from both sides of the river and is one of the most packed events I ever visited. The fireworks takes place above the Tamagawa River very close to Futagotamagawa Station on the Tokyu Denentoshi Line and the Tokyu Oimachi Line and you should get there as early as possible since the river banks and the side street are getting so packed by evening time, you might find yourself stuck on the way to the bank and miss the whole fun of laying on the grassed banks of the river and watching the sky! For best location, get yourself as close as you get to the waterside and try to find a spot which is not near a bridge. That will give you a clear sky view to enjoy the 3 hours fireworks display. From all of Tokyo main summer fireworks festival, Jingu Gaien is the only one that is happing in the heart of Tokyo and not on a riverside or waterfront. This festival centers in Meiji-Jingu Stadium which is located in Shibuya between Aoyama Itchome area and Sendagaya. Since this festival is taking place in Shibuya, which is by nature one of the most densely populated area of Tokyo, get yourself there in the early afternoon if you wish to get in time and get a spot at the stadium area. 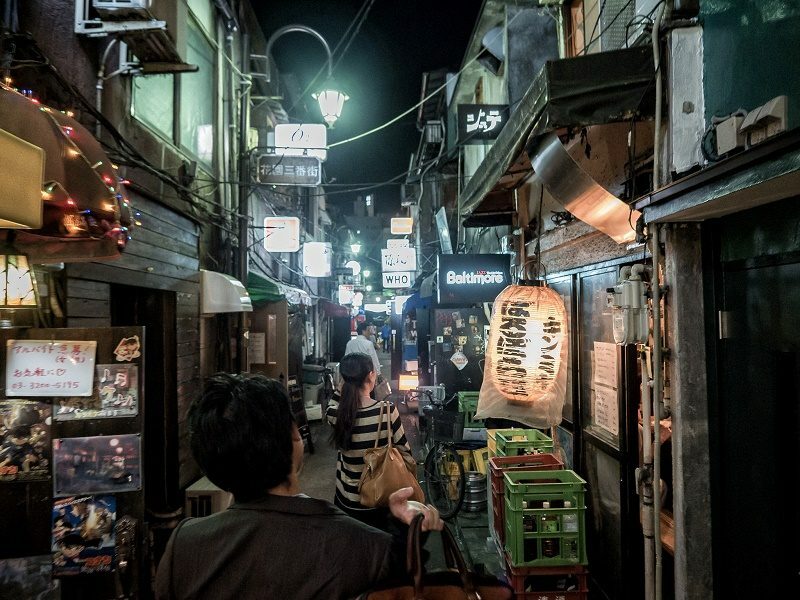 The best way to reach the festival is by taking the Tokyo Ginza Line and getting off at the Gaeinmae Station or take the Yamanote Line to Harajuku Station and walk up Omotesando street and then turn into Aoyama Street all the way to the park. This event is one of the only festivals which sells tickets for premium spots right in the heart of the park. It is great and beautiful spot to watch it from a ticket based spot but be sure you can enjoy the fireworks from anywhere in Shubya, Harajuku, Sendagaya and even Roppongi area. 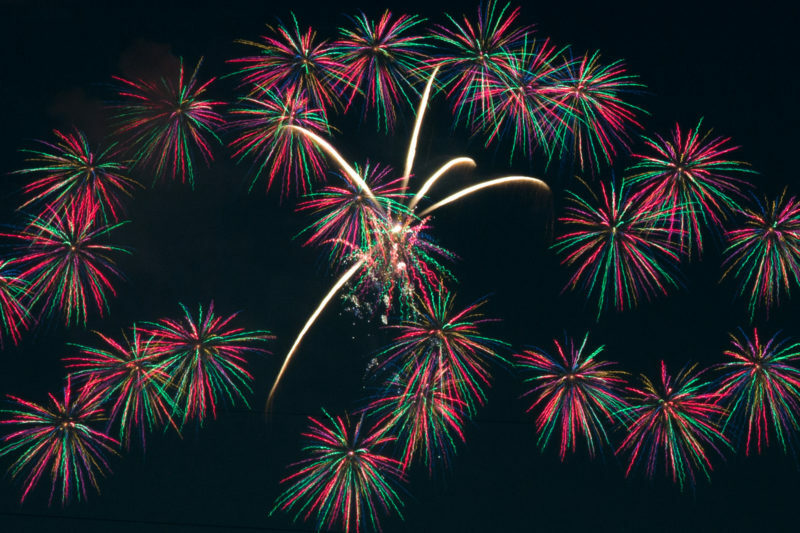 The Itabashi Fireworks Festival is located far from Tokyo center and busy streets, on the border between Tokyo and Saitama prefectures on the Arakawa river. This festival is one of my favorite outside Tokyo center and is a good reason to take a bit of a long train line and feel the atmosphere of a summer festival less urban style and more close to rural style summer events around Japan. To reach the festival area take the Toei Mita Line and get off at Nishidai Station, from there it is a short walk to the river edge. There are about11,000 fireworks in this festival and the show last for about an hour and a half. The closest seats to the river are paid tickets seats but you don’t really need to get a ticket unless you want to avoid the crowds and want you calm spot to watch the show. The event is easy viewed from anywhere on the riversides around the area and the streets around the area are full of summer festival food stalls! The Todabashi Fireworks Festival is the sister festival of Itabashi Festival and is located right not he other side of the Arakawa River bank very close to Todakoe Station on the JR Saikyo Line. In fact, the Todabashi festival is almost 10 years older than the Itabashi and since both events are located close to each other, the festival organizers from both sides of the river joined forces to create one large fireworks show allowing people from both side of the river to enjoy the show as well as the full festival around the streets on both sides of the river. If you are coming from Kawaguchi or Saitama area, it is probably better to get off at Todabashi. Minato Mirai is the central business district of Yokohama, the port city right on the other side of the Tamagawa River separating Tokyo and Yokohama area. This futuristic looking area was designed as a large master-planned development and new urban center planned to connect Yokohama’s commercial center and the Yokohama Station area. The area is one of Yokohama biggest shopping and tourist attractions and every summer it is the host to a specially beautiful fireworks display using this futuristic looking port area as a backdrop. To reach the festival you can simple take any of the lines that reach Yokohama Station (Tokaido, Keihin-Tohoku, Yokohama, Yokosuka, Shonan-Shinjuku, Keikyu, Tokyu Toyoko and Minatomirai Line) and walk to the post area. Make sure to get really early to this festival as you will be joining over 200,000 other spectators. 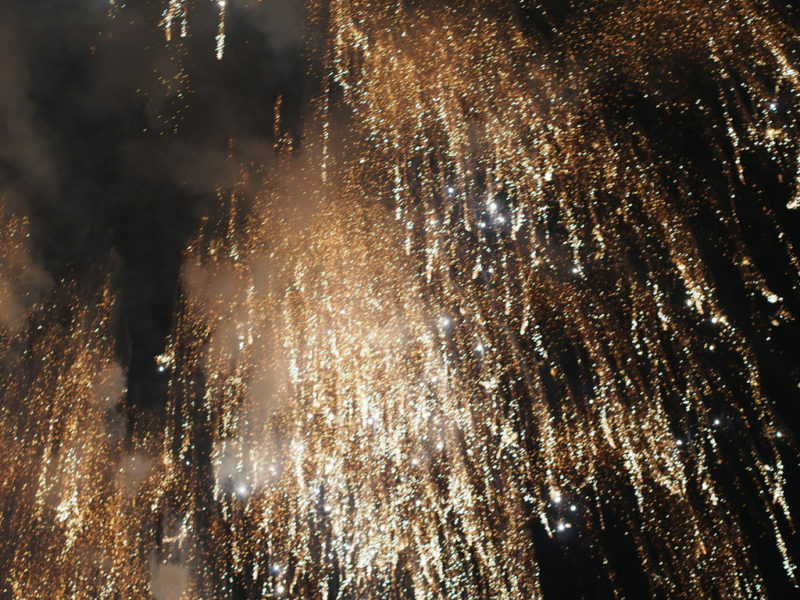 It is the largest festival of the summer and it offers 3 hours long and 15,000 fireworks show! The Sumida River Fireworks, or as its called in Japanese “Sumidagawa Hanabi Taikai” is one of the main summer events in Tokyo and is one you should not miss. 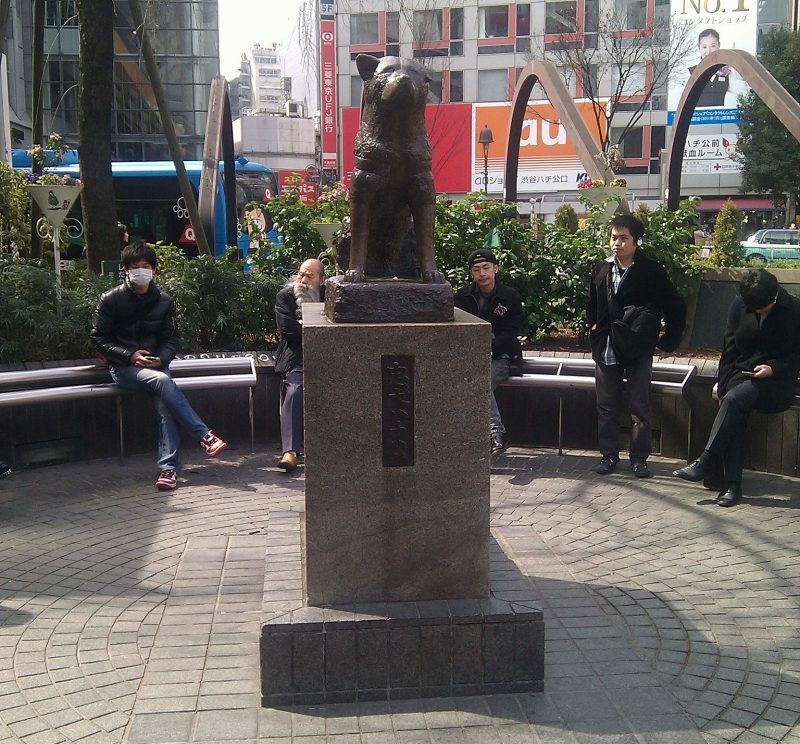 It is located very close to Asakusa station on the Tokyo Metro Ginza Line and the Tobu Skytree Line. This festival location use as a backdrop the Tokyo Skytree Tower which especially for this event, is lit with a special and synchronized lighting show. This festival is also located right near Asakusa district which is one of Tokyo most traditional areas area and is very busy daily with tourists and visitors, so make sure to get there early and find your place among the thousands watching the show. In this particular festival, there is not really any sitting spots area and the best way to view it is walk the streets and find a good location with a clear and wide sky view to enjoy the show or simply walk around and stop from time to time and different spots to watch the show from many angles! The Katsushika Fireworks Festival is taking place every summer on the other side of Tokyo on the border between Tokyo and Chiba prefectures right on the banks of the Edogawa river in the Shibamata baseball ground near Shibamata Station on the Keisei-Kanamachi Line. The festival attract over 350,000 people from both Tokyo and Chiba areas who gather around the banks of the river and in the streets around the station to enjoy an impressive 13,000 fireworks divided to 10 smaller shows. Each show is about 10-15 minutes long and the total show takes about 2 hours. The really special feeling in this event is the close proximity to the fireworks themselves. The sitting and standing spots are located right near the fireworks blasting point and it really feels as if the fireworks exploding all around you! 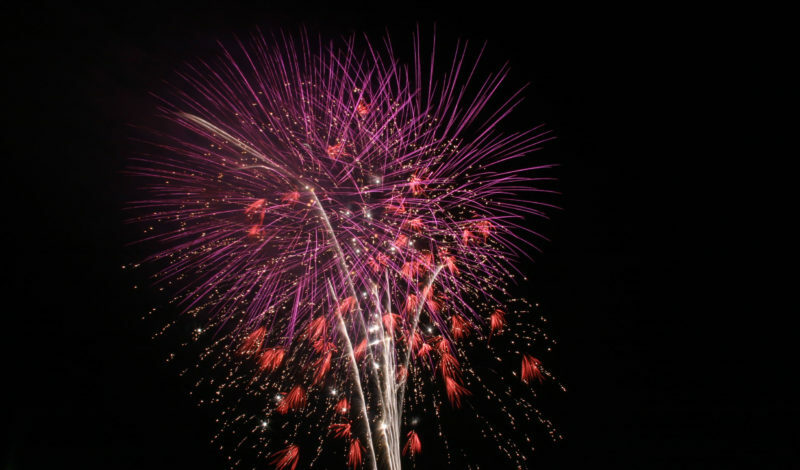 Showa Kinnen Park Fireworks Festival is another great opportunity to get out of Tokyo main city area and check out the beautiful area between Hachioji and Tachikawa, way up Tamagawa River toward the mountains surrounding Tokyo. The event is taking place at the Showa Kinnen Park very close to Higashi-Nakagami Station on the JR Ome Line. 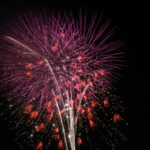 It is not considered as one large of Tokyo’s many fireworks displays, but Tachikawa’s fireworks is certainly one of the more comfortable one to watch as it is centred on the spacious Showa Kinen Park and allows the spectators to have a full picnic set in the park while watching the fireworks display! Since it is located inside the park, make sure to keep your trash with you when you leave or use any of the big trash bins that are placed especially for the event. 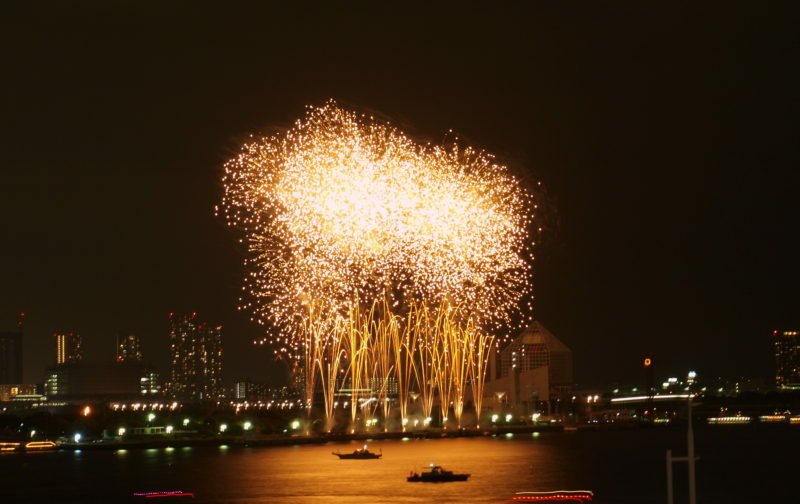 The Koutou Fireworks Festival, or in its Japanese name “Koto-ku Hanabi Taikai”, is located on the banks of the Arakawa River, right between Koto-ku and Edogawa, in near proximity to Tokyo Disneyland. 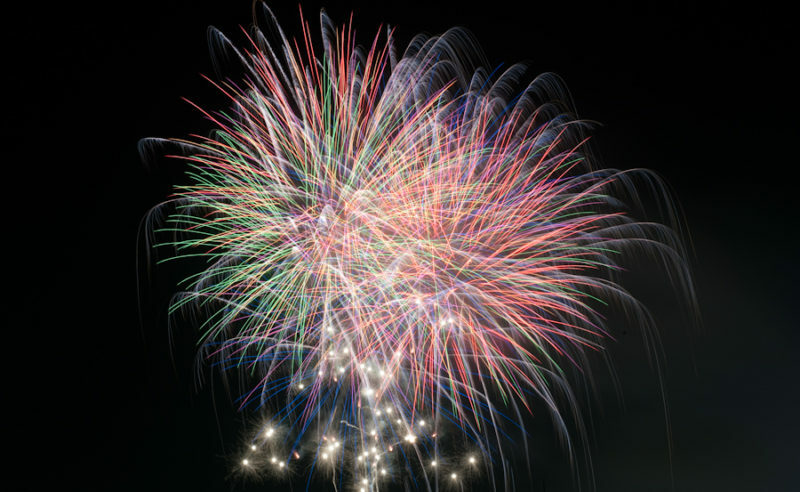 The fireworks takes place in the Arakawa Sunamachi Riverside Park and usually attracts over 300,000 spectators. The show is quite short, about an hour long with 4,000 fireworks display but the beautiful location and the view of the fireworks not he backdrop of both Arakawa River and the Skytree is unforgettable!